Susanna is 18 years old and lives in Capernaum by the Lake of Gennesaret with her brothers who are fishermen. As the result of an accident she is paralysed and her prospects are bleak, but her life is changed for good when Jesus comes to town. He restores her mobility and calls upon her brothers to become his disciples, and they all get involved in his life and work at a time when Romans were in power and the Jews fought hard to protect their faith and identity as God’s chosen people. 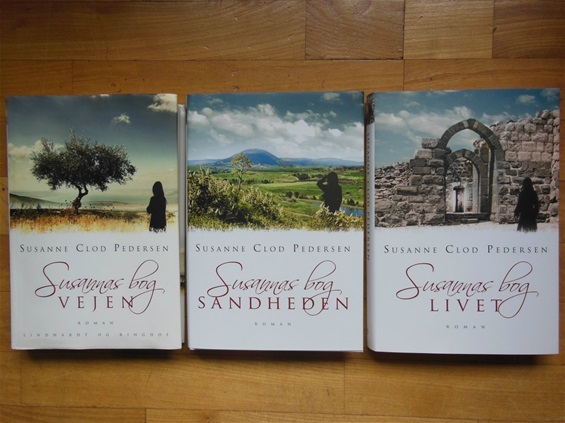 SUSANNA’S BOOK is the story of a young woman and the fates of the people around Jesus. The well-known stories from the New Testament are retold in a way which brings the reader deep into the culture and the fervent Messianic hope of the time, but is also a story about love and maturation. 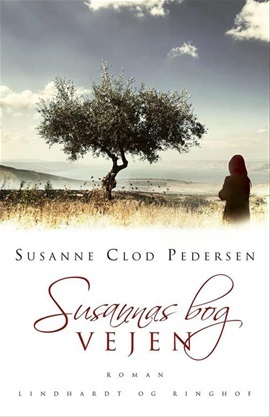 As an invalid woman Susanna is considered worthless by herself as well as by others, but as the story progresses she rises and becomes both strong and independent. She is captivated by the vulnerable and equally degraded shepherd and disciple Nathaniel, but also strongly attracted to the much fiercer, provoking and freedom-loving Judas. The patriarchal society does not allow Susanna to make her own choices, but alongside the story of Jesus runs a story about the liberation of women and sexual equality.